Builders, Carpenters, in Worcester, Worcestershire. "I had my kitchen built by Belmont Carpentry, they provided a bespoke high quality finish that I have many compliments about. Very professional throughout, would highly recommend"
"I have used Belmont Carpentry many times now for various jobs within my home from hanging doors, to repairing rotten windows. I have always been very pleased with the work carried out - hence why I keep going back to them. Nice to have a carpentry company I can rely on!" "We cover all aspects of carpentry. Commercial and domestic work, we will price a reasonable quote no matter how big or small the your requirements. For more guidance view our website. " 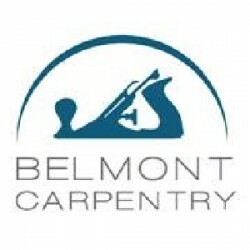 Have You Dealt With Belmont Carpentry Limited ?